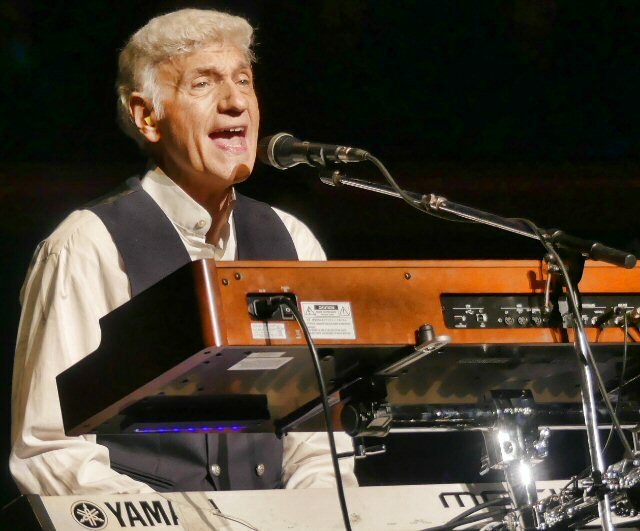 Dennis DeYoung stuck with what he knows best during the second of three big nights at the Schermerhorn on Friday, March 29, 2019 in Nashville, Tennessee. That is - mostly the music of Styx composed by him and his solo work all enhanced on this run of dates by the enchanting and exciting Nashville Symphony orchestra. Dennis DeYoung made the Schermerhorn his home for three nights in March. While we don't have the time or energy to rehash the famous "Styx: Behind the Music" saga in these few paragraphs it is important to know that Dennis DeYoung was a founder of the legendary outfit from Chicago who merged prog and pop into a potent formula that carried them to the heights of the recording industry with their run of chart-topping albums in the late 70's and early 80's. As the group's main lead singer and the writer of the #1 hit Babe from 1979's Cornerstone he accumulated ample cache and leverage in the band. It was his decision to stand by the disastrous "Kilroy Was Here" project and tour that created cracks in the group's foundation leading directly to the first acrimonious breakup of the band in 1984. Fast forward many years and both Styx and Dennis DeYoung's Music of Styx are still on the road reaching dedicated audiences. Some of those remain loyal to one camp or the other even this far down the line. Regardless, both acts now play songs from the group's grand history. In fact, Tommy and J.Y. Young only recently added the Dennis Deyoung penned "Mr. Roboto" back into their setlist. That track led off the second half in Nashville complete with the head of the robot firmly in DeYoung's grip. In the middle of the song where Dennis sings about the dangers of ever-pervasive technology in society the singer added a gotcha perhaps directed at the pair of guitarists in the form of, "I told ya". Maybe DeYoung had a grip on what was coming in the future decades ago. Oh well, hindsight is 20-20. A new dynamic duo - Jimmy Leahey and August Zadra. Now that the year is almost 2020 Dennis DeYoung has perfected his presentation of The Music of Styx - a project that is now nearly two decades in the making. Prior to that Dennis seemed content playing out in mostly solo settings while watching his former pals carry on with his replacement in the keyboard chair. His new touring companions have helped him "reach heights I could have only dreamed of" and include a pair of axe men who resemble their younger Stygian counterparts from days gone by. Heartthrob Jimmy Leahey adds real New Jersey rock credibility while the dynamic August Zadra is tasked with recreating many of the Tommy Shaw classics vocally. Except on this night. DeYoung announced from the stage that the singer awoke that morning in Mid-Tenn without a voice. So, it was all about Dennis who by all accounts retained his remarkable chops while serving as jovial frontman and focal point of the group. He joked about aging. "You know what's good about getting older? Nothing!" He introduced his backing singer and partner of 49 years Suzanne who he called his trophy wife and the love of his life. Finally, he thanked his fans for supporting him even though he is no longer in the rock act he "helped make famous". For the nearly sold-out house the strong closing pair of "The Best of Times" and "Come Sail Away" provided proof that the good times are still rolling in Music City. The last song had the fans up on their feet with cell phones held to the rafters before it was time to exit the venue still flying high on the Music of Styx. The Schermerhorn Symphony Center is a beautifully appointed venue with excellent acoustics. It is home to the acclaimed Nashville Symphony. The Schermerhorn schedule is packed with classical concerts but the hall also features plenty of other types of music including hard-hitting rock and roll. Upcoming shows include Brian Wilson, Richard Marx, Jerry Lee Lewis, Rob Thomas and the Music of Queen. 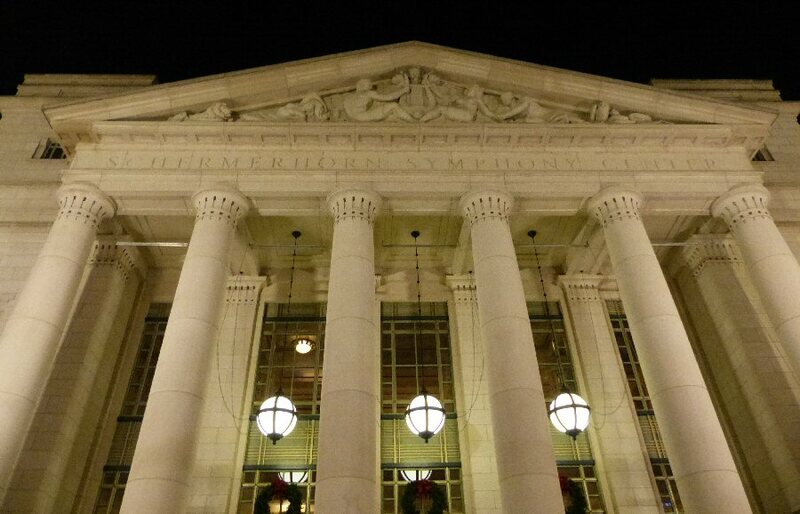 Schermerhorn Symphony Center - one the city's musical jewels in Nashville.